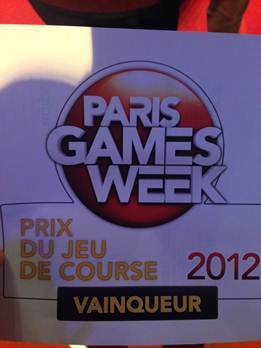 Last week I was in Paris to promote Most Wanted and spread the word to media, retailers and fans. During the week, I had around 15 interviews with the press (radio, Tv, Online magazines, newspapers, blogs). 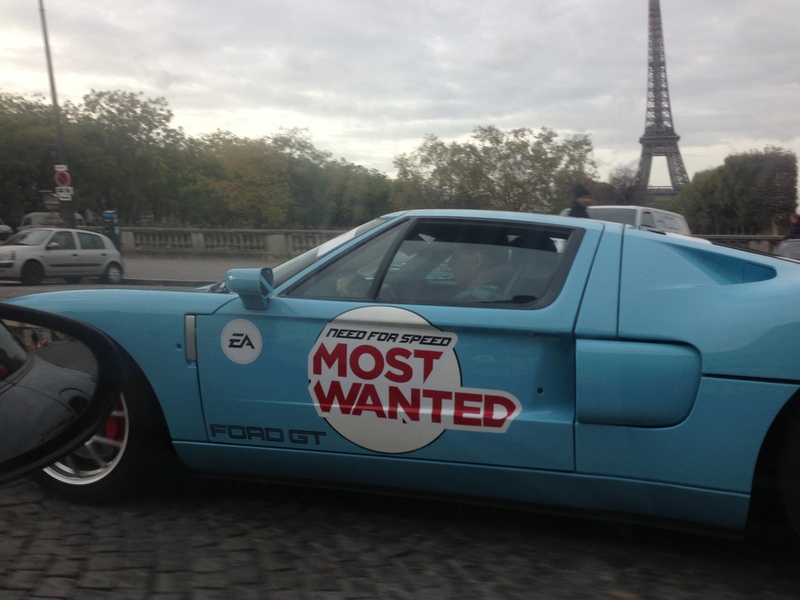 The first day, 55 cars with Most Wanted stickers were taking journalists for a 2 hours driving around Paris. The event was mostly for mainstream media and cars magazines, but also it attracted the attention of many people, taking pictures of the cars. Cars lovers really like all cars available from the start : some of them just want to play their favourite car or their own car! After a couple interviews, I was visiting Paris in a Porsche 911 Turbo : it was a nice day :). The Paris Games Week is the biggest video games event in France : it’s a consumer show where all the games for Christmas are presented. As you can see, we had a very big booth where people could play the game on 16 consoles or watch live demos on the big screen. The first two days were mostly journalists : many of them were fans of Burnout Paradise or Hot Pursuit, some of them were not even into racing games until Most Wanted. Journalists really liked Autolog 2, saying it was brilliant and should be added to any game. Then, the event was opened to everyone for 4 days. Loads of people were coming every day to play the game, waiting for hours to play the game. Some of them were actually coming every day ! Players really enjoy the cops, all cars available from the start and takedown players in multiplayer. One of my best memories is meeting one of Criterion biggest fan : he is a big fan of Paradise and Hot Pursuit, was coming to show just to play Most Wanted (played it on our booth, on the Sony booth, on the Xbox booth …) … and he is 7 years old ! And then we won best racing game of the show 😀 ! If I look tired on this one, it’s normal : this was the last interview after a long day of technical issues and interviews :).